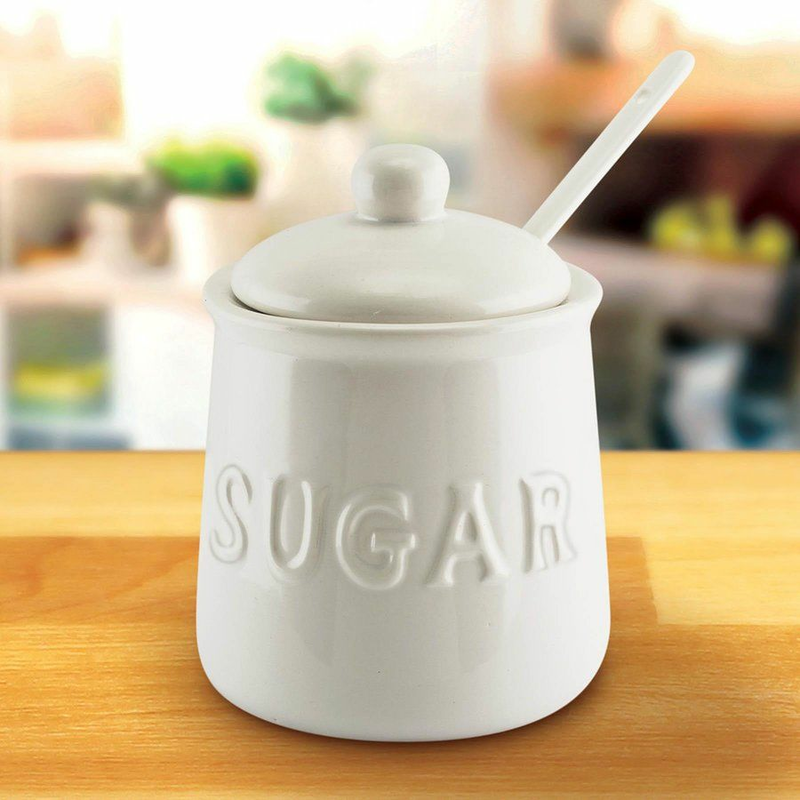 Keep your sugar handy and close by in this ceramic sugar jar. 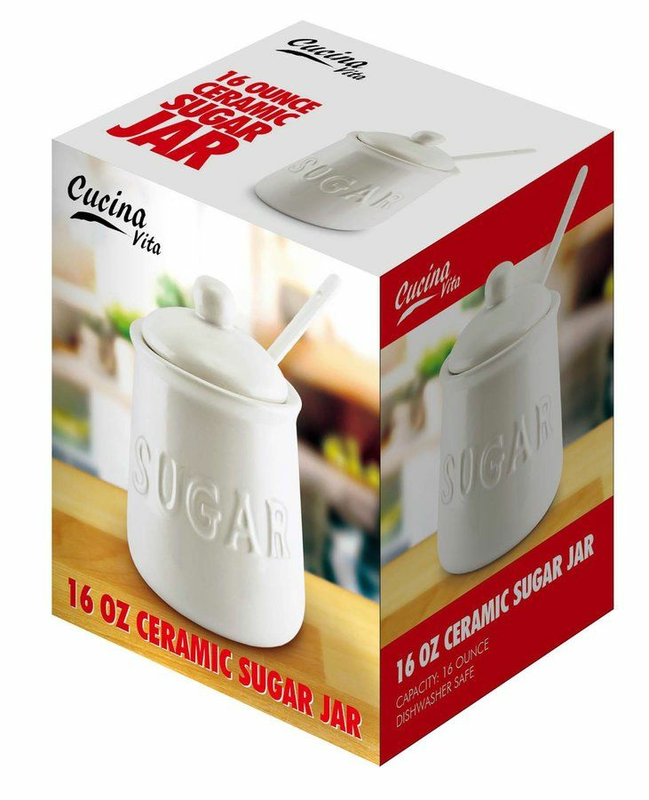 This set includes 16 oz jar with "sugar" embossed on the side, lid and serving spoon. Lid has notched space to accommodate the serving spoon. Dishwasher safe. Weight	1 pound. 4" x 4" x 5.5". Ceramic. UPC Number: 841437122992.